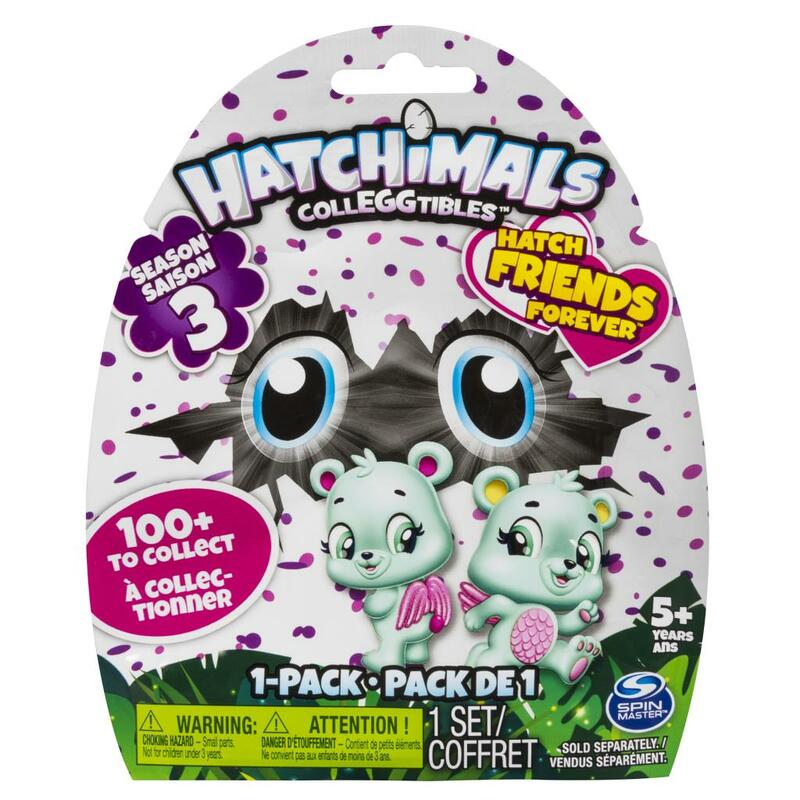 Bring home Season Three Hatchimals CollEGGtibles! 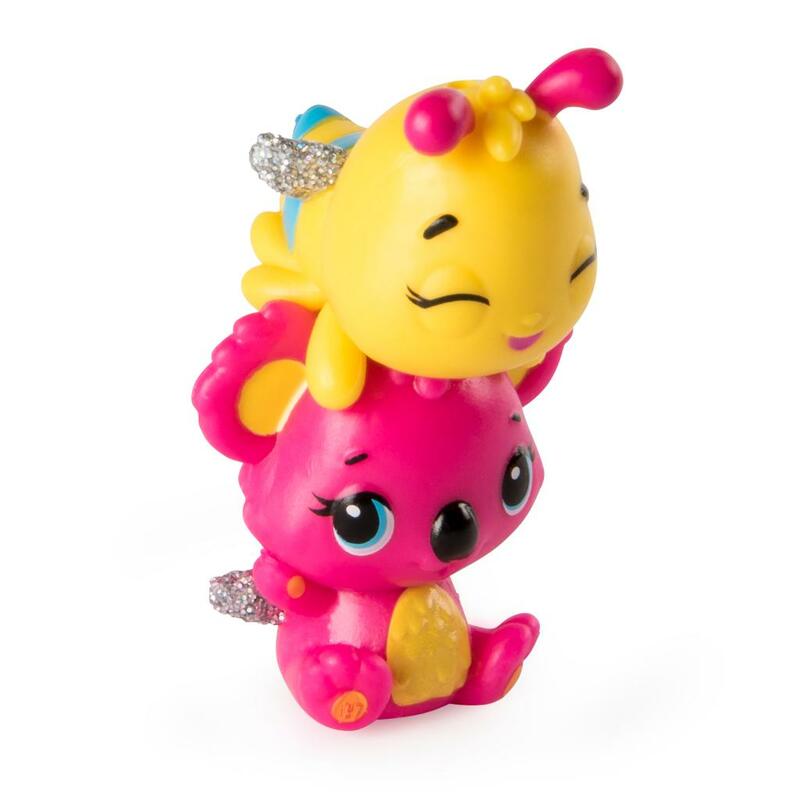 This season introduces “Hatch Friends Forever!” With over 100 new friends to hatch and collect, you can find Best Friends (cute friends who connect), Twins (two Hatchimals CollEGGtibles in one egg) and sweet Squads! There are so many friendly faces to meet! 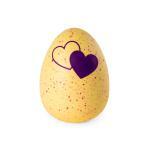 To hatch, simply hold your egg and warm it up until the heart changes from purple to pink! 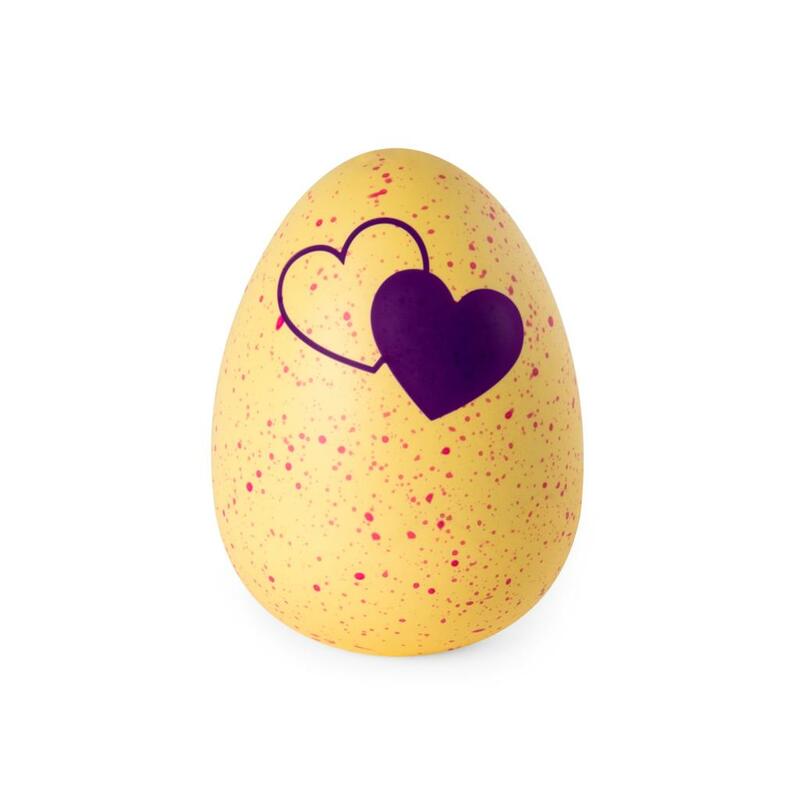 Press down to crack the shell and discover who’s inside! 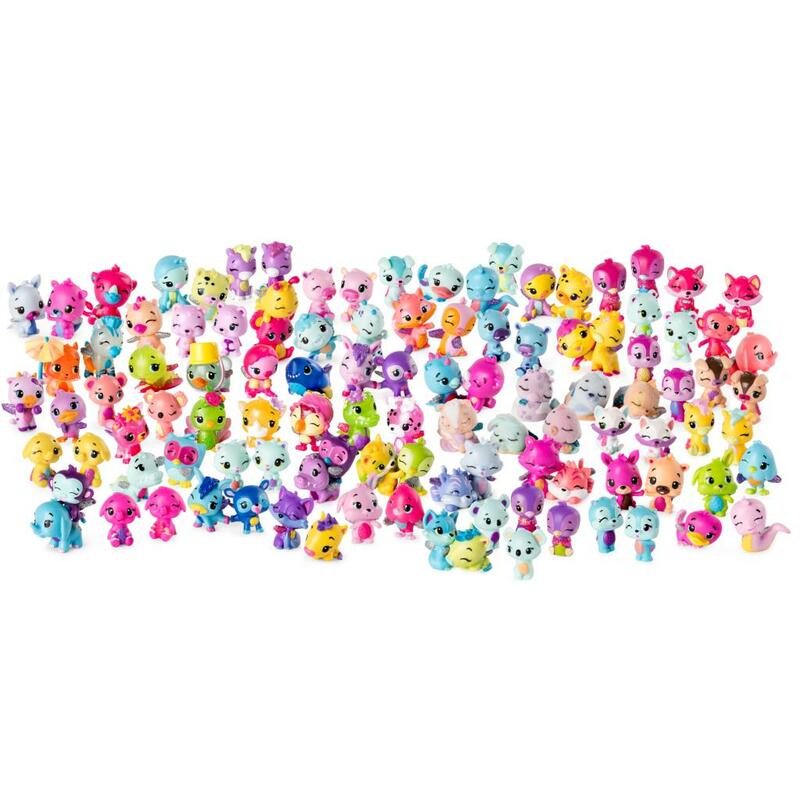 With glittery wings and adorable faces, these Hatchimals can’t wait to meet you! 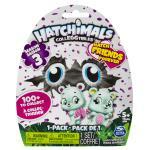 Hatch a whole world with Season Three Hatch Friends Forever CollEGGtibles!